Lilli Accardo's first night in Signal Bend, Missouri is remarkable. 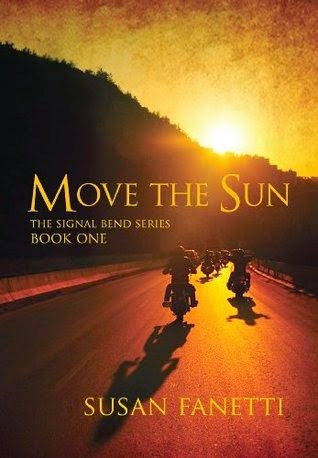 She meets the President of the Night Horde Motorcycle Club, Isaac Lunden. "He looked like Mr. June in the Harley Biker Beefcake calendar." In one night, she knows he's going to make things more difficult for her. She has a job to do and nothing will stand in her way. Isaac hasn't had the motivation or desire to get an old lady. He's happy with his club and his life. When a stranger moves into his town he knows he has to keep an eye on her. She is not what she seems to be and even her name may not be real. Nothing which threatens his club can remain standing but the closer he gets to her the more trouble he has with that decision. Can he live without her or his club? Lilli was a surprise. She is a fighter and she knows how to defend herself. When she meets Isaac she doesn't waste any time getting to know him. Isaac was a good hero. He was a true MC guy and some of the gritty scenes made me squirm but he was so sweet to Lilli. At times, I did feel like the book dragged a little and some scenes may have been unnecessary but overall I enjoyed it because the plot was different. I have no doubts I'll read the next one.